The advent of this suburb can be traced to the extension of the tram line to the coastline. Before this time, Clovelly was known as "Little Coogee". This area was dominated during the nineteenth century by the grand estate of Mundarrah Towers. Mundarrah Towers was built for Dr Dickson in the 1860s. Samuel Bennett, who owned The Australian Town and Country Journal, one of the most influential newspapers of the day, bought the property and made further grand additions. The Towers were demolished in 1926, to make way for suburban development. The Mundarrah Towers estate occupied the land around Burnie Street overlooking the western end of Clovelly Bay. Mundarrah Street honours this once grand part of Clovelly's heritage. Between Coogee and Clovelly, on the shores of Gordon's Bay, stood Cliffbrook, the home built for John Thompson. By the early twentieth century the first governor of the Commonwealth Bank owned this grand mansion that was demolished in 1976. Cliffbrook and Mundarrah Towers are both part of the hidden heritage of our northern coastal suburbs. A public infants school was operating in Little Coogee as early as 1897, in the Mission Hall of the Church of England in Varna Street. Eliza McDonnell was the teacher with an average attendance of 76 pupils. Clovelly Public School officially dates from 1913. The Department of Education provided permanent accommodation for a public school in Arden Street, Clovelly. Major subdivisions for domestic housing commenced in earnest in Clovelly in 1909. The local progress association argued that there were 717 houses constructed within metres of the proposed tram route that had not yet been completed. Due to these lobbying efforts, the tramline to the Clovelly was completed between 1912-1913. This allowed Clovelly to continue developing throughout the 1920s. The suburb, was named after the seaside village of Clovelly in Devon, England. The name Clovelly was suggested by the president of the local progress association Mr F H Howe in 1914, after several other English places names, such as Eastbourne, were rejected. Clovelly's heyday was really between the end of the First World War and the early 1930s. During the Great Depression Randwick Council instituted a scheme to keep unemployed men employed by building concrete foreshores for Clovelly in an attempt to make access to the bay's foreshores easier for bathers. The Council envisage an Olympic size swimming pool in the bay, a facility that would also keep local men employed in the worst financial times. It was also planned to build a causeway/scenic road across the entrance to the Bay but wild storms in 1938 dashed hopes of this. The remains of the causeway are still visible at low tide, forming a protective reef. The plans were controversial; the merits of this work are still debated today. In 1907, a surf life saving brigade was formed at Clovelly, inaugurating the surf life saving tradition in this suburb that has seen numerous heroic rescues, perhaps most notably "the rescue off Schnapper" or "the big rescue" of Sunday 4th December, 1927. Surf Life Saving has been a predominate part of the culture and heritage of this scenic coastal suburb. Competitive swimming is also a dominate part of life in this idyllic coastal location. Today the suburb is affectionately referred to as "Cloey" by many residents and locals. 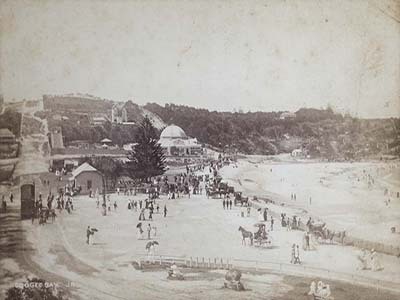 The village of Coogee was officially founded 12 October 1838 when the plan for the settlement was lodged at the New South Wales Colonial Secretary's office. The village was established to prevent William Charles Wentworth from securing a large tract of the Sydney coastline, to add to his already substantial personal land holdings. The name 'Coodgee' is derived from a local indigenous word thought to mean , 'rotting seaweed' or 'place of bad smells'. The early days of European settlement in Coogee saw it flourish as a market gardeners paradise. Many of the first residents such as Charles Catley, made their fortune growing vegetables for the Sydney markets. In Catley's case, he made his fortune growing cauliflowers, and as such named his property fronting modern day Brook Street, Cauliflower Hall. Large mansions were being built in Coogee by the late nineteenth century such as Roslyn and Ballamac by wealthy Sydney residents such as Charles Moore and successful businessmen who were establishing their status in society with imposing homes by the seaside. 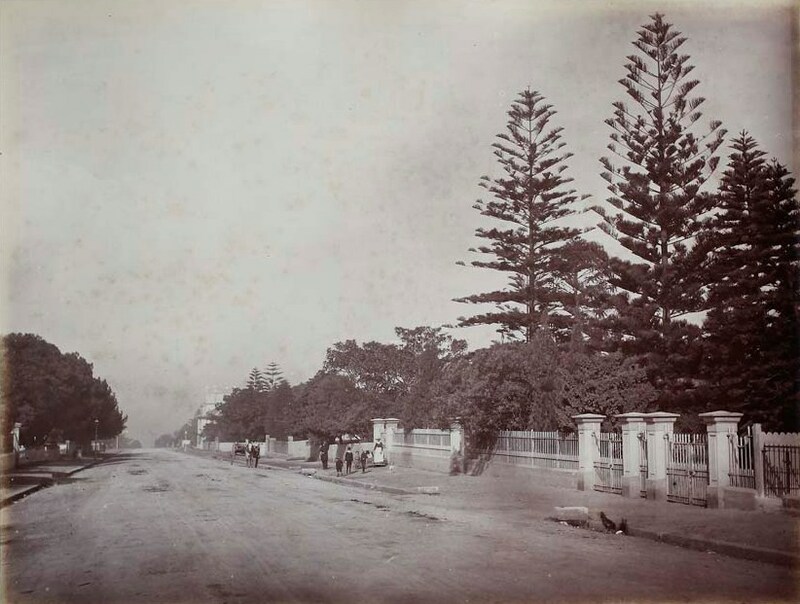 Oceanview, built by the Wirth's Circus family still stands on the crest of the hill overlooking the coast at the corner of Alison Road, Arden Street and Beach Street. A small suburban shopping centre flourished at the bottom of Belmore Road, now known as Coogee Bay Road. Coogee Public School opened in 1876 and by 1887 the Coogee Aquarium threw open its doors as an entertainment complex, covering an entire suburban block, at the northern end of Coogee Beach. 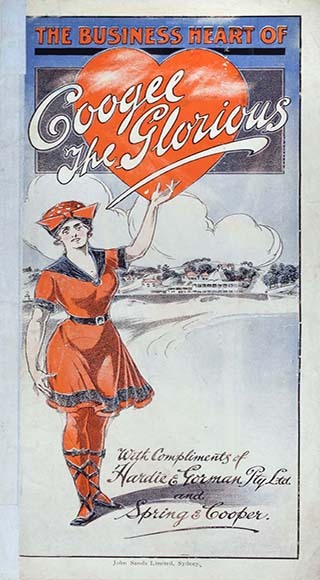 By the 1920s, Coogee was marketed as "Australia's most Beautiful Seaside Resort". 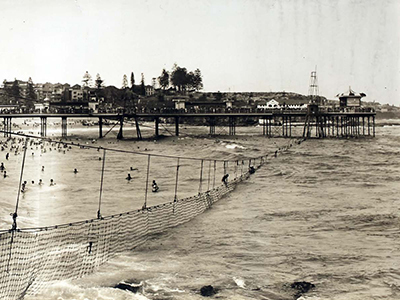 The Coogee Pier extended 183 metres into the ocean from the middle of the beach but lasted only a few years (1929-1933) before it was largely destroyed in a sea storm and had to be demolished in 1934. It is testament to Coogee's aspiration to be a British seaside resort in the tradition of Brighton. Wylie's Baths opened in 1907 by Henry Wylie, and still operate today beyond the southern extremity of Coogee Beach. The Baths were the training ground for Olympic Silver medallist Mina Wylie, the first Australasian woman to win a silver medal for swimming at the Stockholm Olympics in 1912. They have been beautifully restored. The Coogee Surf Life Saving Club was established in 1907 in premises at the southern end of the beach. Anzac Day 1935 saw one of the more infamous episodes in Coogee's history when a shark held captive at the Coogee Aquarium, disgorged the tattooed arm of a man. In what became known as "The Shark Arm Murder", Coogee's reputation as a pleasurable seaside resort became tainted with the mystery and intrigue of a scandalous underworld crime. Coogee residents became fearful of attack during World War Two, especially after the Japanese midget submarine invasion of Sydney Harbour, the beach was heavily fortified, leaving the shark net for swimmers in disrepair. By the end of the war Coogee reverted to a suburban coastal playground and the venue for a Christmas carnival from the 1950s-1980s called the Coogee Mardi Gras. In January 1959, this carnival lead to tragedy when a Ferris Wheel collapsed killing and injuring numerous carnival attendees. Long Bay is reputed to have been the local Indigenous community's principal camping/healing place between Sydney and Botany Bay. Malabar Headland is the site of a number of Aboriginal engravings. Historian Obed West claimed in 1882 that Aboriginal people referred to Long Bay as 'Boora' and that a rock overhang on the south side of Long Bay had been used as a shelter by Aboriginals suffering from a smallpox epidemic in the late 1700s. In 1866 an attempt was made to create a village on Church and School Land at Long Bay when the surveyor general called for tenders for clearing timber and erecting posts for street names. This was followed by a sale of allotments in 1869. The suburb was proclaimed as the Village of Brand in 1899, though most people continued to refer to it as Long Bay. 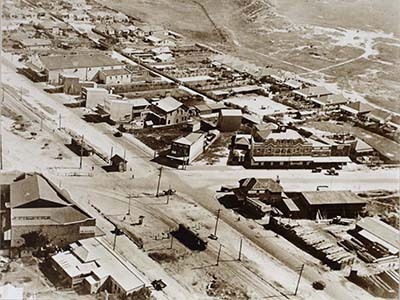 People were slow to take up residence in the area and it was not until the tram line was built to the Coast Hospital in 1901 that the suburb started to grow. By the early 1900s the village had two community halls; Anderson's Hall and Picnic Grounds on the corner of Victoria and Napier Streets and Dudley's Hall which provided a home for the school until Long Bay Public School opened in 1909. During 1910-1920 a number of entrepreneurs bought cheap land at Long Bay and erected tents and huts as accommodation for visitors who flocked to the beach there at weekends. Residents complained about unsanitary conditions and the effect of these holiday camps on land values. During this period there were also a number of more permanent residents living in shacks in the sand dunes behind Long Bay, forced into these living conditions by a housing shortage in inner city Sydney. Construction of the State Reformatory for Women began in 1902 on a 70 acre site south of the village. This was officially opened in August 1909, followed by the opening of the State Penitentiary for Men in 1914. The Long Bay Life Saving and Amateur Swimming Club was formed at the end of World War I, meeting at the ambulance building on Bay Parade before a clubhouse was built in 1922. 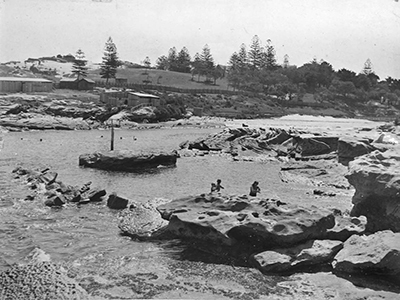 In 1916 the Ocean Outfall was constructed on Malabar Headland and by 1959 increasing sewage discharge had severely affected water quality at Long Bay. A number of club members left to found a new club at South Maroubra and by 1973 the Malabar club had to be disbanded. The commencement of the Deep Water Sewer Outfall in the 1990s saw some improvement in water quality, but the clubhouse was demolished in the same decade after suffering severe water damage. On 2 April 1931 the MV Malabar was wrecked in thick fog on rocks at Miranda Point on the northern headland of Long Bay. The village of Long Bay was renamed Malabar, after the wreck, in 1933. Another shipwreck occurred on 29 May, 1955, when the fishing trawler Goolgwai ran aground in thick fog and heavy seas at North Point. During World War One, land at Malabar Headland was used for musketry practice. In World War Two, the headland became the site of the Malabar Battery, in operation from 1942-45. This comprised of two gun emplacements, tunnels, a railway line and a command post. These structures are still in existence, though are in poor condition. In 1950 golfers formed the Civic Golf Club and laid out the first stage of an 18 hole golf course on the cliff top between Long Bay and Little Bay. This became the Randwick Golf Club in 1960. The origin of the word Maroubra is thought to have come from an Indigenous language word "Marubrah" meaning 'lightening' or 'thunder'. Since 1907, the Maroubra Surf Life Saving Club flag and uniform has honoured this connection. European history of the area we call Maroubra began in the nineteenth century when Maroubra was the site for woolwashing. This industry needed the plentiful supply of groundwater for manufacturing processes, available in the aquifer under the sands of Maroubra. The remote nature of Maroubra, at that time, suited this industry as it was considered a noxious (toxic) trade. A series of shipwrecks off Maroubra Beach, the Hereward May 1898, the Tekapo May 1899, established this stretch of coast as a treacherous area for ships to navigate in bad weather. 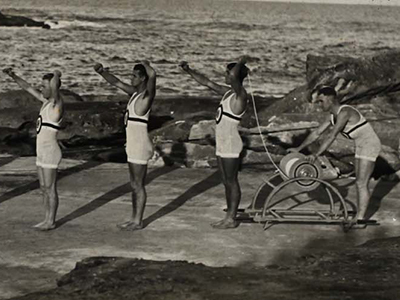 It was the establishment of Maroubra and South Maroubra Surf Clubs that made the already attractive beach safer for swimmers and potential residents and was the impetus for the establishment of a larger, permanent settlement of the suburb. Maroubra Beach was always the best marketing feature for the potential suburb. 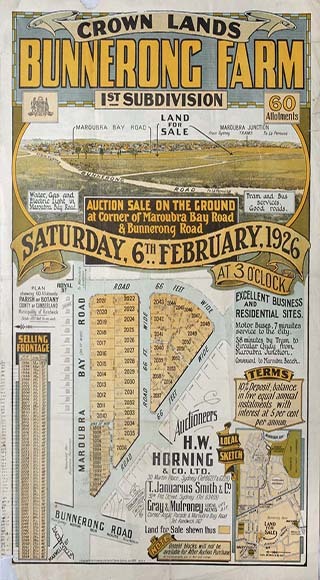 In the early twentieth century, local real estate agents, notably Herbert Dudley, started subdividing large tracts of land at Maroubra for residential development, using the proximity of the land to the beach as a drawcard. In an additional effort to lure potential buyers to the remote and swampy location, despite the beautiful beach, Dudley built the Dudley's Emporium opening in 1913, on the corner of Anzac Parade and Maroubra Bay Road. This complex was designed as a magnet for men and women looking to move to the area. The shopping emporium included a butcher, chemist, grocer, haberdashery, theatre. It was an imposing edifice in a remote location, designed to attract residents to the suburb, allowing housewives to shop in their own area. 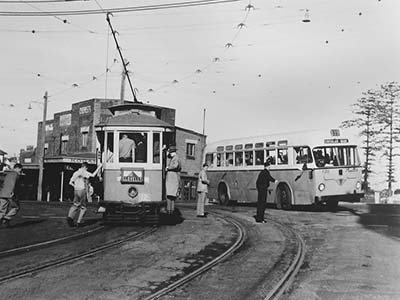 Once the direct tramline extended along Anzac Parade, Maroubra was not as isolated. This made the commute to the city easier for working men and made the beach more accessible to Sydney residents. By the 1920s, Maroubra Junction was booming. The Maroubra Junction Hotel opened in 1927. The Maroubra Speedway opened its gates in December 1925. It regularly attracted crowds of 70 000 spectators watching exciting but dangerous racing on the undulating track that is now Coral Sea Park, Maroubra. Races such as "The Golden Helmet" excited the crowds. Unfortunately, the track was considered too dangerous and the speedway had to be closed to car racing by 1928, but was used as a motor cycle track until 1934. Phil Garlick was considered the most daring and reckless driver of his generation but was killed at the Olympia (Maroubra) Speedway on 8 January 1927, when a blowout in his tyre caused his car to mount the embankment. Historically Maroubra was also the location of a state government farm producing vegetables for the Sydney market. Established in 1901, this labour depot was seen as a means of utilising unemployed labour. It was located on land that is now between Maroubra Road and Fitzgerald Avenue. Maroubra was also the location a migrant hostel, located in Heffron Park, a temporary accommodation facility for newly arrived migrants after World War Two. Other existing landmarks at Maroubra include the Anzac Rifle Range, at the Malabar end of Maroubra Beach and the Des Renford Aquatic Centre, named in honour of Maroubra resident and English Channel champion swimmer, Des Renford. Maroubra Beach has always been a popular spot for surfers and the training ground for many champions of the sport. The Maroubra Surfing Walk of Fame at Maroubra Beach pays tribute to these champions. The name 'Randwick' was bestowed upon our suburb by Simeon Henry Pearce who immigrated from Randwick, Gloucestershire, England. No village of Randwick was officially gazetted, as there was for Coogee, but two things influenced the establishment of Randwick as an English classical village. Bishop Barker of Sydney visited the Commissioner of Lands for NSW, Simeon Pearce and his wife Alice, at Randwick in 1855. They decided to locate the home of the Bishop of Sydney, "Bishopscourt', in Randwick rather than on land in Newtown as intended. Bishop Barker saw the prosperity of the Pearce family, prosperous market gardeners, and the desirability of the land in a high location with ocean and city views. 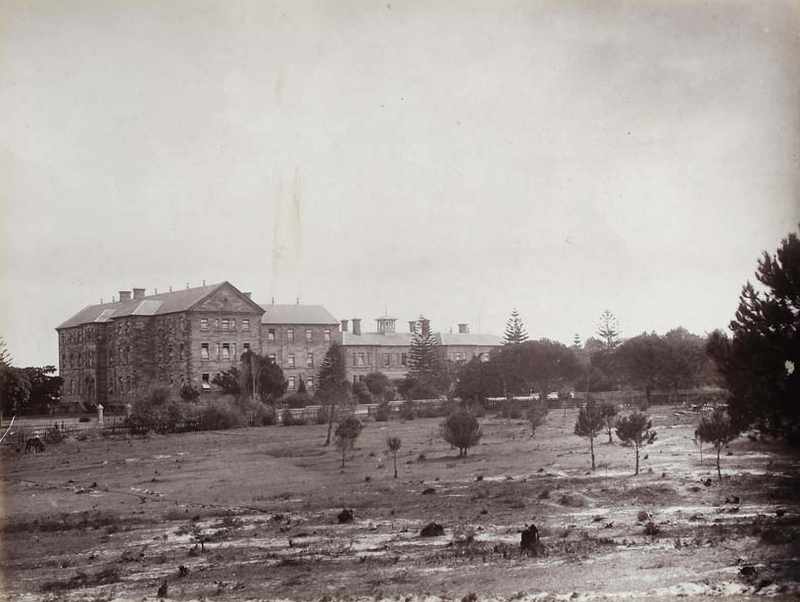 The second critical factor in attracting the well to do of Sydney to the area of Randwick in the 1850s was the establishment of the Randwick Destitute Children's' Asylum, opened in 1858. These grand sandstone buildings, now part of Prince of Wales Hospital, were designed by renowned colonial architect Sir Edmund Blackett. They are still landmark architecture in our City, but they helped Simeon Pearce's case in attracting the well healed members of Sydney Society to the suburb, that in the first half of the nineteenth century, was dominated by market gardeners in their modest houses surrounded by garden plots. Pearce envisaged that Sydney's society elite would build grand houses and thus lay the foundations for a well to do area. He was helped by the elevated geography along a ridge line and the panoramic coastal views. This certainly eventuated with many grand and ornate homes constructed in the Victorian era. Randwick is defined by its lovely serene boulevards, making it one of the most desirable suburbs in Sydney even to this day. Critical in the establishment of the Randwick village was the construction of the St Jude's Anglican Church in Avoca Street Randwick. 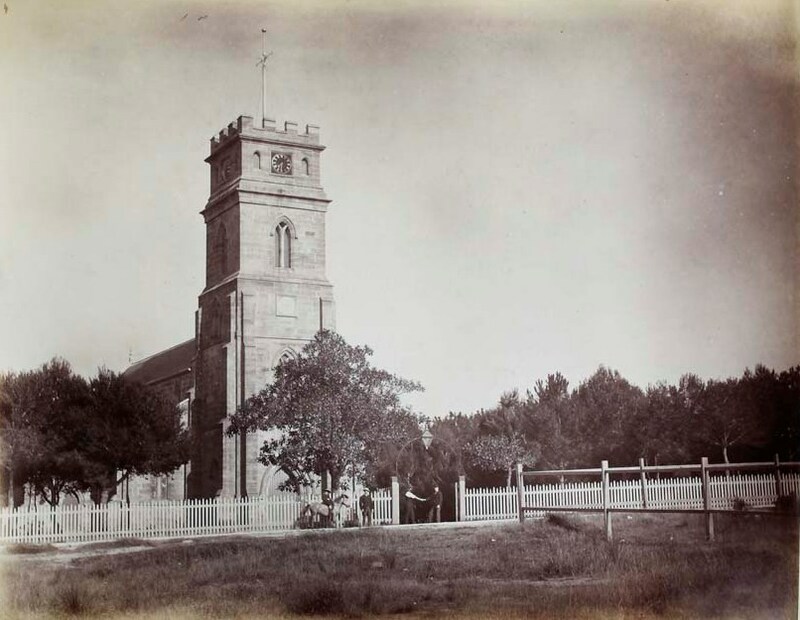 The current church was opened in 1865 after much controversy and legal argument over its location. St Jude's became the epicentre of village life in Randwick, just as in the English villages of Pearce's homeland. Randwick Racecourse was another landmark and cultural influence of a different kind, shaping the history of Randwick suburb. 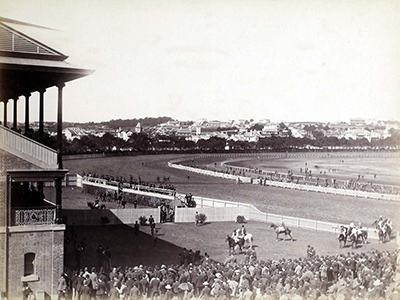 Established very early in the colony's history, Randwick Racecourse hosted its first race on 17 April 1833. Since these times the racecourse has hosted centuries of champions, bookies, jockeys and trainers. Punters from all over Sydney have arrived by coach and horse, trams, cars and soon to be built light rail system. Many legends make for a colourful component to our suburban history, both on and off the track. Successful jockeys and bookmakers at Randwick Racecourse, aspired to and built many of the grand Randwick homes. Whilst Randwick suburb remains largely residential, the suburb has also been home to industry. The Tramway Workshops were a huge industrial site, employing many men in the construction and maintenance of Sydney's trams. Other large institutions in Randwick include the upper campus of the University of New South Wales and the Prince of Wales Hospitals.